If you are looking for an affordable luxury car, come see the new Kia Cadenza in Odessa, Texas. This elegant sedan is offered at a modest price and is loaded with elegant and comfortable features. A spacious cabin packed with intelligent technology such as voice command navigation, keyless entry and a back-up warning system offers drivers state-of the-art convenience. The sleek body styling and chrome trim, create an alluring presence while available adaptive lighting adjusts headlamps based on the vehicle’s position and speed to allow drivers complete visibility at night. We have a large selection of Cadenza models available now. See our new Kia Cadenza inventory online to compare trim levels and color options or view photos and vehicle details. The Cadenza is one of Kia’s most desirable models. This stylish sedan is a perfect blend of practical luxury. 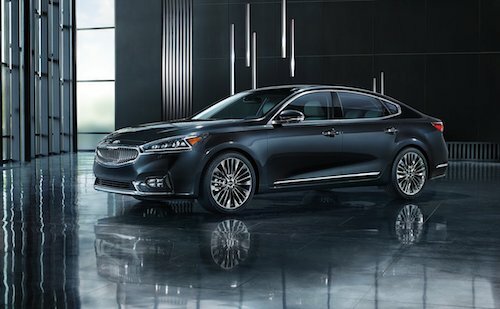 The Kelly Grimsley team is on standby to help you test drive the new Kia Cadenza in Odessa, TX. Or, if you have any questions about this or any other Kia model just let us know.